Like all former Presidential Press Unit heads, Kenyanjui Karioki – as he liked to spell his name- was a man of a few words. When it came to discussing his dalliance with Jomo Kenyatta he would quickly evoke the Official Secrets Act. When he passed on last week, a chapter of how the media covered the late president Jomo Kenyatta and how power changed hands in 1978 - when he was at the centre of events- was lost. Karioki never uttered a word and lived by the secret oath he had taken to safeguard the image of the first First Family. Perhaps it was because he was Kenyatta’s press secretary, at times operating from the President’s British government- built Gatundu home, that he kept away from the media glare or was struggling with an innate fear that still haunts the political pelicans who manned State House corridors then. 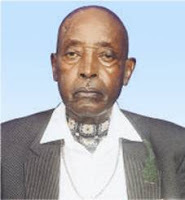 From his coffee farm along the Kiambu-Kamiti Road and overlooking Kiu River, where he retired, Karioki adhered strictly to the catholic faith. Quiet and suave and portraying an urbane; near-colonial character, he tended his coffee farm in the same style. That is where he will be interred on Tuesday at 76, a ceremony that will perhaps be witnessed by the remaining oldies of both Kenyatta and Moi era who epitomized power. A non-smoker and occasional drinker during his hey days, Karioki earned his living from the media- but lacked the confidence to be robust or go gaga with detailed explanations as his boss at the ministry, the late Peter Gachathi would want. This was borne of Karioki’s minimal education background and since he had risen from an obscure information officer at Mfangano Street’s Kenya News Agency offices. How he ebbed his way to Kenyatta’s State House – or what he simply refered to as “Gatundu” as a former workmate recalls is little known. But from here he managed the coverage of Kenyatta-era politics, the death of JM Kariuki and crafted the mercurial immortalization of Jomo Kenyatta with the help of Peter Gachathi, a former Ministry of Information Permanent Secretary who also acted as the official government spokesman. Karioki believed in delegating his duties to junior officers. That masked his incompetence as a Kenyatta’s media officer but it also allowed him to shop for the right talent to man the Presidential Press Unit. With the help of Gachathi, the PPU battled the media for balanced cold-war coverage, and to set up the propaganda units within the media to tackle the Somali Shifta crisis. When Kenyatta collapsed at his Bamburi home in 1968 it was Karioki who is said to have crafted the statement issued by the minister for defence, Dr Njoroge Mungai confirming that Kenyatta had been indisposed for three days “but could now take normal meals”. It was the last such statement from State House on Kenyatta’s health. His interpretation of the Kenyatta docket was obscure. As the PPU head, his task went beyond the coverage of Kenyatta – the man - to wife and children. He would order a team to for instance follow Kenyatta’s children to the US colleges where they were attending school to do documentary films on them. One of the most memorable was when Christine Kenyatta joined Cedar Crest College and the PPU was at hand to issue a statement as they followed the mother, Mama Ngina Kenyatta and daughter abroad. In July 1974 he would troop with his Information PS John Ithau and Deputy Secretary Darius Mbela to Gatundu to show Kenyatta the graduation footage of Christine Wambui which earned some good media attention. For his part, Karioki knew the power of media and would have his undertakings, both minimal and irrelevant- covered by the Kenya News Agency. It was something he had learnt from State House mandarins. His many arrivals at the Embakasi airport from abroad were given instant coverage that included cities and towns he made stop-overs and dignitaries he met – who would include then UN Secretary General U. Thant. The death of Jomo Kenyatta must have come as a blow to Karioki who was only 42 then. His survival in the new corridors of power meant that he had to fit in the Nyayo era or be whisked back to the ministry of information. While Moi retained him – as part of the pseudo-confidence he exhibited on Kikuyu elites, Karioki was silently returned to the ministry since Moi wanted a hands-on man like the assertive – and at times arrogant - Wamatu Njoroge, who would later be replaced by a perceived weakling Cornelius Nyamboki. Karioki’s return to the ministry meant one thing. He could hardly rise within the Nyayo ranks. He would during the Nairobi International shows be seen manning the information stand at the official opening ceremonies ready to welcome the minister and other dignitaries. But his contemporaries say he loved his job and only lacked the necessary credentials. Again, he was in media field during murky times and for egoistic rulers. It was part of a job and he did it well before the curtain fell on 17th July 2010 at the age of 74.